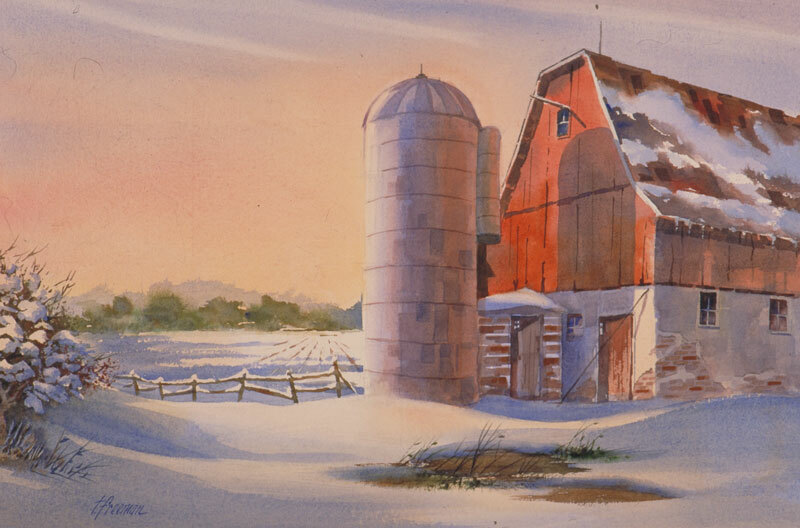 Thomas Freeman Original Watercolor Painting: "Winter's Harvest"
Originally I had sketched this barn and turned it into a family Christmas card; the idea for the watercolor came later. I tried to focus on the details: the clumps of snow on the bush, the drifting snow near the barn and the buildup on the fence. I wanted an early morning sky to go along with it.